for Gästehaus Bergwinkl – holiday apartments Reit im Winkl. 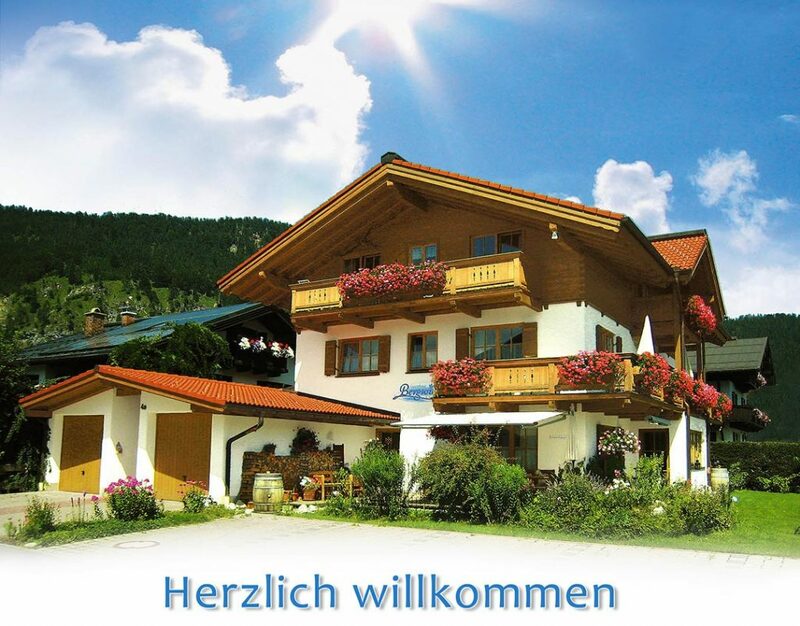 Your guesthouse in Reit im Winkl was opened in time for the winter season 2004 and since then we have made every effort to always offer you something new so you can really make the most of your winter and summer holidays. Our cosy holiday apartments are located in an absolutely quiet; little used side-street, merely 50m from the restaurant Kuhstall, near the “Rathausplatz”. The central location of the holiday apartments makes it possible for you to reach restaurants, shops and recreational facilities on foot in a few minutes. No matter whether you are looking for a restaurant offering local delicacies, a snack bar, cafés, the outdoor swimming pool boasting a 105m water slide, the indoor swimming pool, hiking trails or the theatre stage in the “Festsaal” (ceremonial hall) Reit im Winkl, allow your car to take some time off, too. Your dream holiday awaits you. The “Gästehaus Bergwinkl“cooperates with the municipality Reit im Winkl regarding the Reit im Winkl Inclusive Card. On arrival you will receive the Reit im Winkl Inclusive Card entitling you to make use of free services* of the participating service partners and thus the card offers free attractive benefits for your stay. * e.g.as a guest of our house enjoy free swimming in summer and partly also in winter in the outdoor and the indoor pool in Reit im Winkl, as well as in the outdoor swimming pool “Waldschwimmbad” in Kössen and on the east shore of the lake Walchsee and the lake’s Strandpromenade (waterside promenade). Further tips can be found on our website under holiday information ! We are particularly pleased that a growing number of regular guests spend their holiday in our beautiful house in Reit im Winkl every year. However, we can talk a lot but nothing is as important to us as satisfied guests. We are especially proud of the 100% recommendation rate of our Holiday Check reviews. From ”we’ll come again and again“ to “very clean“ and to ”simply perfect“, you can find about every compliment there is, from our guests. Spend your holiday in a place where Bavarian traditions are still held high and where Bavaria reveals its most stunning scenery. Look forward to a cordial “Griaß God“ and you will have a sense of well-being from the start. Your dream holiday in Reit im Winkl awaits you …..and we’ll always have a sympathetic ear for your requests and suggestions.